© MMXIV Imre Lachegyi. All rights reserved. This website and all of its content, including all the texts, images, audio and video files published on the website, belongs to and owned by Imre Lachegyi, except those materials, whose author or source is noted (these are published with the permission of the authors/owners). All the content published on this website can be rebroadcasted only with written permission of the owner. Hæ paginæ factæ sunt A. D. MMXII. 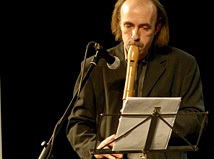 Imre Lachegyi is the president and one of the major artists of Consort Music Foundation.